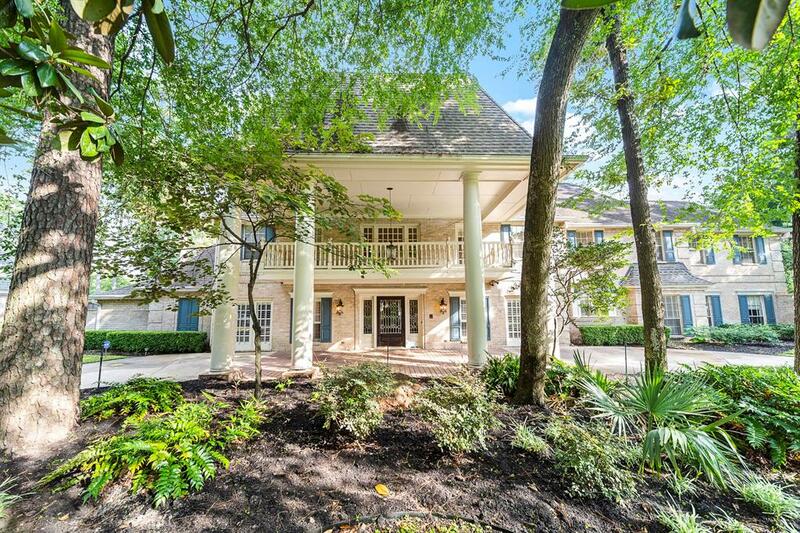 Gorgeous estate home on quiet, wooded street just steps from Raveneaux Country Club. Custom home features breathtaking 2-story entry, wood floors, lofty ceilings, crown molding, and plantation shutters. Entertain family and friends in style in the New Orleans style backyard with swimming pool, spa, brick patio, gazebo, and lush landscaping. The huge gourmet island kitchen is a chef’s dream with granite countertops, double oven, and butlers pantry with wet-bar. Relax in the spacious master suite with private sunroom, his and her vanities, spa tub, separate shower, and his and her closets with built-ins. The upstairs gameroom with wet-bar is perfect for a pool table or a movie theater system. Other features include a 3-car garage, circular front driveway with porte-cochere, and gated driveway with ample parking. Roof replaced approximately 5 years ago. Home has never flooded.